Henna by Sienna is located in Minneapolis, MN! 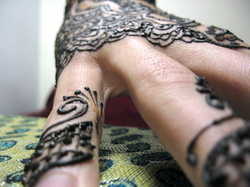 Please contact us with any inquiries regarding a booking, or any other questions you might have about henna in general. We are happy to provide a quote for your event and answer any questions. We also love hearing feedback from you about your henna experience with us! Please give at least one week’s notice when inquiring about your date. You can follow us on Facebook! Check out www.facebook.com/JewishHenna!